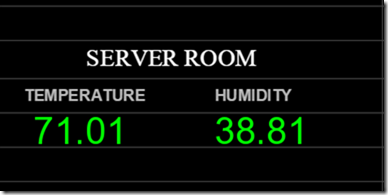 If you want to monitor the temperature and humidity level of your server room with Nagios then there is a plugin for that. I personally don’t go to the server room regularly so I wouldn’t know if the AC failed in that room until probably its too late, so getting automatic alerts when the room gets too hot or too cold is a good idea. In this tutorial I will guide you step by step on how to setup a temperature sensor in your server room , and set Nagios to notify you when the temperature or humidity level is too high or too low in the room.